I mentioned the crocodile water spout in my last blog but forgot to attach my photos so they are below. 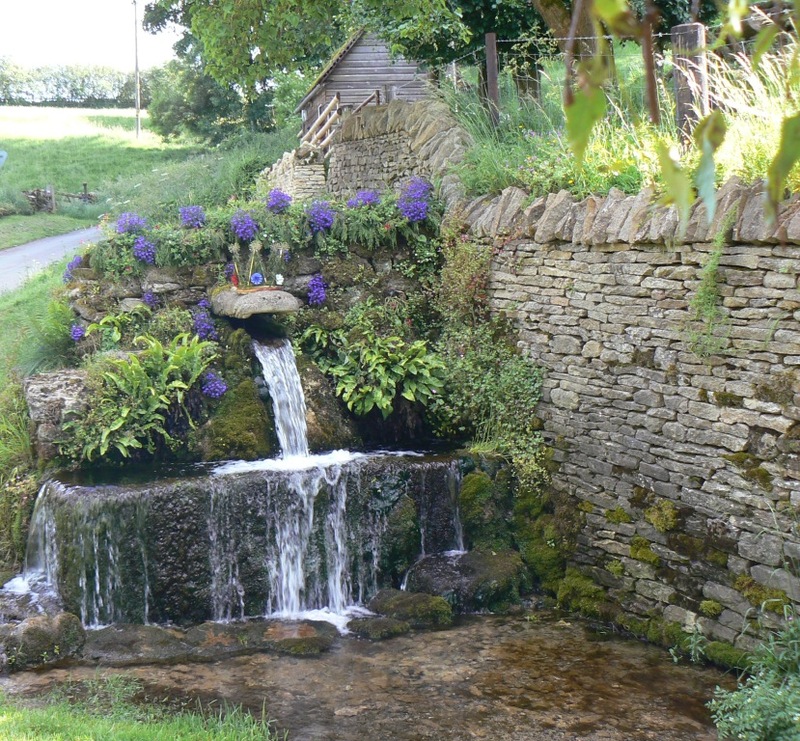 I love the fact that a respected cotswold stone builder from the nearby village of Hazleton built this feature in the 19th Century. Presumably some local landowner paid for it. The spring water has been gushing out of the crocodile’s mouth ever since. Some days, like yesterday, after lots of heavy rain, it is a truly spectacular sight. Yesterday, as I took photos of the crocodile from every angle, a young boy was walking with his father to St Oswald’s Church, which is set on the hill right above the crocodile. He is clearly used to jumping the stream to save walking all the way along the road. I don’t know whether it was his desire to show off or his amazement at seeing a ‘mature’ lady photographing water coming out of a spring, but whatever distracted him he landed right in the fast flowing water. I had to smile as he walked up the hill to church with soaking wet shoes and very soggy trouser bottoms! I wish I could capture the sound of the pure rushing water for you but my photos will have to do. I marvel at the fact that nature produces a constant supply of fresh water for us here. Would that other parts of the world were so lucky. 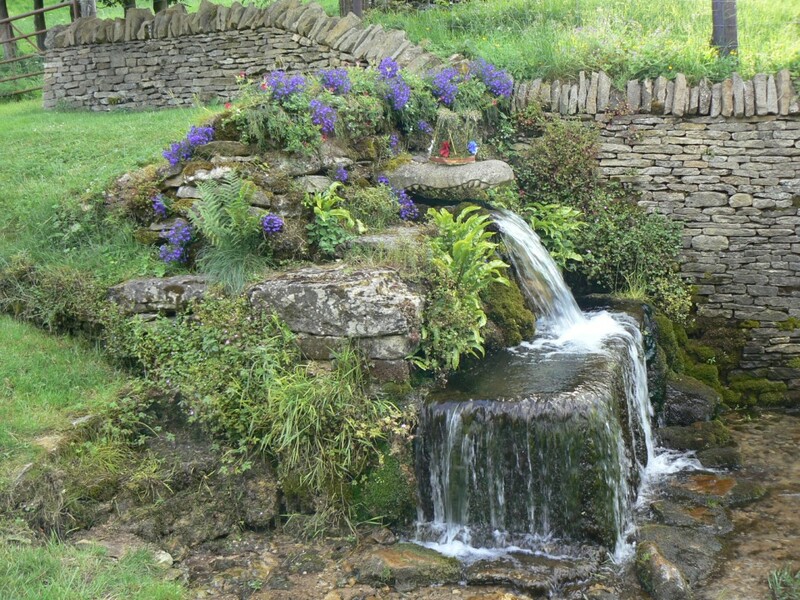 This entry was posted in Cotswolds, Natural World, Photography, Travelogue and tagged Cotswolds. Bookmark the permalink. Yay the Cotswolds! I’m very fortunate to live there too. Lovely. I really like the second shot for the angle and the framing.